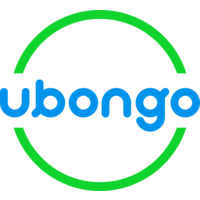 Ubongo is a social enterprise that creates fun, localized edutainment for learners in Africa. We produce the TV series, Ubongo Kids & Akili and Me, along with a suite of multi-platform learning products from radio to apps. We leverage the power of entertainment, the reach of mass media, and the connectivity of mobile technology to give learners in Africa a new way to learn. Both shows are on national TV across East Africa and are expanding across the entire continent. We currently broadcast in over 31 countries in Swahili, English, French, Kinyarwanda, and need support managing this expansion. We work with a number of TV and Radio broadcasters, as well as partners, who help us distribute our edutainment to reach millions of families across the continent. Ubongo want to support organizations working with young children and/or parents to increase investment in and effectiveness of Early Childhood Development (ECD) programs by sharing with them top quality learning resources for children, caregivers, teachers and other key ECD influencers including doctors and community health workers. 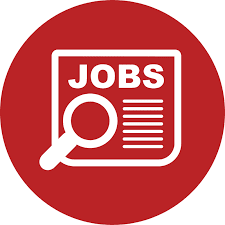 We are looking for a forward thinking DIGITAL & HUMAN CENTERED DESIGN CONSULTANT to work with us to develop a cloud-based portal that will provide organizations and local initiatives with customized multimedia ECD toolkits containing appropriate resources for use in early education, healthcare, ICT4D, caregiver groups, teacher training and grassroots projects. Applying Human Centered Design principles to project and product design, to ensure we’re adding value for our partners! We do tons of HCD with kids and parents already, and now we need to do the same with partners! Working with researchers to initiate development and user testing of new ECD content on health and wellbeing. Able to GET THINGS DONE. You will be a team of one who needs to coordinate and manage across all departments in Ubongo to get this project launched! Someone who loves kids. They’re why we do what we do. They’re running around our office all the time. Our kids’ music and videos will become part of your life (and be constantly stuck in your head). Phew! You made it through that. The good thing is that there are also perks, like delicious healthy lunch at the office, health insurance, and you get to watch cartoons at work. Please note: We DO NOT accept CV's or email applications. Please apply using the form through the link at the end of this advert.